If you have information about any of the cases listed below please call Emerald Coast Crime Stoppers at 863-TIPS of 1-888-654-TIPS or send a web tip. Walton County Sheriff’s Office is releasing photos of a subject believed to be involved in multiple “smash and grab” burglaries in three jurisdictions in the Florida Panhandle. On Sunday, April 7th, three separate victims reported to Walton County Sheriff’s Office their vehicle windows were broken by a window punch. The incidents occurred on J.D. Miller Road in Santa Rosa Beach. In one instance, a diaper bag was stolen with the victim’s driver license. In another, the victim reported a purse stolen that was left on the floorboard of the truck which contained a pistol and several credit cards. In the third incident, a Michael Kors purse was taken with personal checks, gift cards, and credit cards inside. The following day, a man driving a black Nissan Armada attempted to cash one of the victim’s checks at Regions Bank in Panama City Beach. 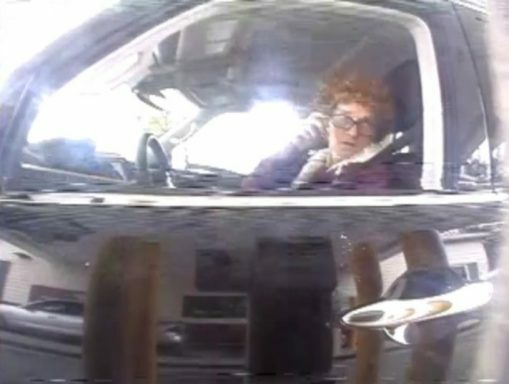 The subject, observed in surveillance video as a white male wearing a wig and glasses, presented a stolen driver’s license stolen from a smash and grab in Panama City at a park in their jurisdiction. The tag on the vehicle was stolen from a car in a parking lot in Panama City Beach. Regions Bank employees questioned the man who fled before law enforcement’s arrival. Walton County Sheriff’s Office is coordinating with detectives from Panama City Police Department and Panama City Beach Police Department. Anyone with information is asked to contact Walton County Sheriff’s Office at (850)-892-8111 or you can remain anonymous by calling Emerald Coast Crime Stoppers at (850) 863-TIPS. Submit a web tip at http://www.emeraldcoastcrimestoppers.com/ or send a mobile tip using the P3 Tips Mobile Application or the WCSO smartphone app available in Google Play or the Apple Store. The Walton County Sheriff's is trying to identify this couple reference a retail theft that occured at Coach Outlet in Miramar Beach on 01/03/2019. 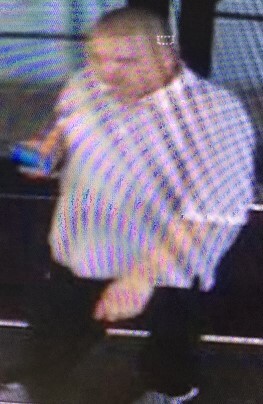 The female has hair that had blond highlights and she wore dark eyeglasses and stood around five feet tall. 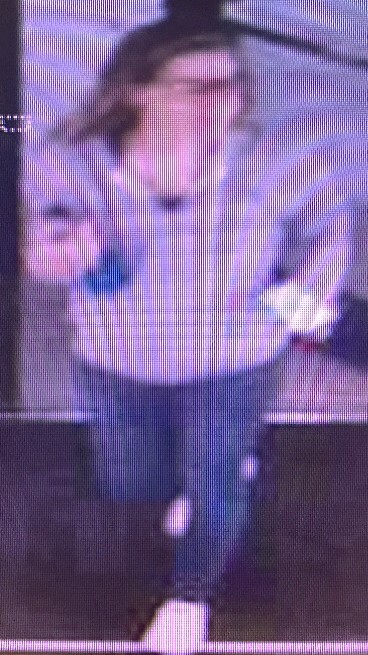 She was wearing a gray sweatshirt and dark blue stretch jeans.The male has salt/pepper colored hair, a close shave all around, and heavier builtd He was wearing a loose polo shirt with dark pants. Anyone with information can contact Emerald Coast Crime Stoppers anonymously at 850-863-TIPS, emeraldcoastcrimestoppers.com, or by using the P3 Tips Mobile application. The Okaloosa County Sheriff's Office is trying to identify a black female who stole around $850 worth of merchandise from the Sephora in Destin on 10/08/2018. Anyone with information can contact Emerald Coast Crime Stoppers anonymously at 850-863-TIPS, emeraldcoastcrimestoppers.com, or by using the P3 Tips Mobile application. The Walton County Sheriff's Office is searching for information reference a Yolo Board that was stolen from a home on Bayou Drive in Freeport sometime between 10/06/2018 and 10/08/2018. 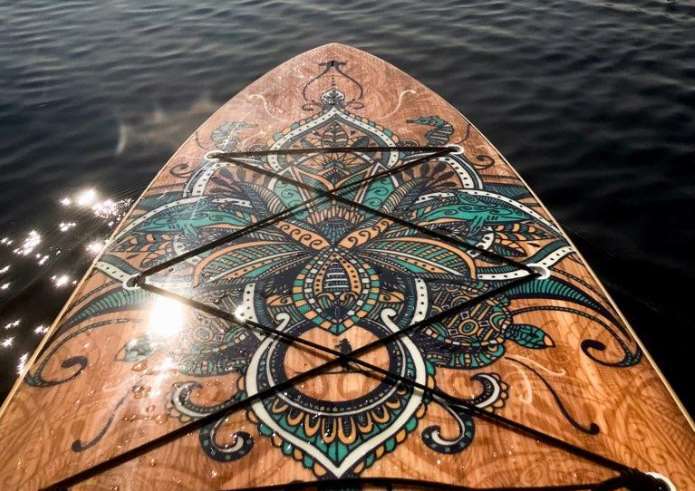 The paddle board is described as 12’, light wood, aqua and yellow padding with a custom design on the front. Anyone with information can contact Emerald Coast Crime Stoppers anonymously at 850-863-TIPS, emeraldcoastcrimestoppers.com, or by using the P3 Tips Mobile application. Four black males were seen on camera burglarizing several vehicles on Legion Drive in Destin at approximately 4:00 am on the morning of August 2nd. After burglarizing vehicles they then stole three vehicles: a white 2015 4-door Kia Optima, a silver 4-door Acura Infiniti and a dark colored GMC Terrain. The GMC Terrain was later located abandoned off Aplin Road in Crestview. Anyone with information about these thefts and burglaries can contact Emerald Coast Crime Stoppers anonymously at 850-863-TIPS, emeraldcoastcrimestoppers.com, or by using the P3 Tips Mobile application. Walton County Sheriff's Office investigators are seeking information about a commercial burglary in which more than $12,600 worth of equipment was stolen. 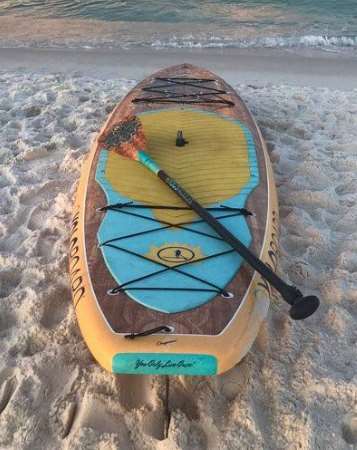 On 07/04/2018 the Walton County Sheriff’s Office responded to Seagrove Storage Center located at 4925 E CO Hwy 30A in Santa Rosa Beach and discovered that beach chairs/umbrellas, paddle boards/paddles and surfboards had been stolen. The beach chairs are blue and brown with the logo “Dillon’s Beach Services 850-259-5849” on them. Anyone with information about this burglary can contact Emerald Coast Crime Stoppers anonymously at 850-863-TIPS, emeraldcoastcrimestoppers.com, or by using the P3 Tips Mobile application. The Okaloosa County Sheriff’s Office is looking for a person of interest in connection with an early morning shooting death of an Uber driver on Okaloosa Island 06/24/2018. 29-year old Filip L. Kirilov, believed to be a Destin resident, suffered a gunshot wound and was found dead inside his blue van at 656 Santa Rosa Boulevard around 6:30 a.m. Sunday. OCSO Investigators say the motive for the shooting is unclear at this point. They believe he was shot sometime between 4 a.m. and 6 a.m. Anyone with information on the shooting or who spotted anything suspicious in the area of Santa Rosa Boulevard and Nautilus Court around that timeframe is asked to please contact the OCSO at 850-651-7400 or Emerald Coast Crime Stoppers at 850-863-TIPS, emeraldcoastcrimestoppers.com, or by using the P3 Tips Mobile application. 05/15/2018 UPDATE - SUSPECT IDENTIFIED AND ARRESTED! 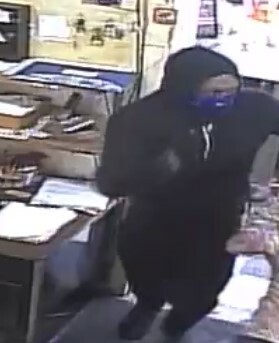 The OCSO is investigating an Armed Robbery at 757 N Beal Pkwy near Fort Walton Beach that took place around 1 a.m. on April 29th. The suspect is a white male who was wearing dark clothing and armed with a two-tone pistol. He took cash & Marlboro Red cigarettes. Anyone with information please call 1-850-651-7400 or contact Emerald Coast Crime Stoppers at 1-850-863-TIPS, www.emeraldcoastcrimestoppers.com or by using the P3 Tips mobile application. If your tip leads to an arrest, you could be eligible for a cash reward of UP TO $3,000! The Crestview Police Department is seeking leads after two nearby Crestview charity-run stores were burglarized a day apart from each other. On the morning of Jan. 19, officers responded to a call of a reported burglary at the Exodos Ministries thrift store at 696 Ferdon Blvd. North that had apparently occurred the previous night. Store employees reported they noticed one of the roll-up exterior doors had been forced open while the second roll-up door had been forced up about a foot. A door between the storage area and the retail area had also been forced open, employees discovered, and more than $200 in cash was missing. The store owner estimated replacing the damaged roll-up door would cost $3,000, and the broken interior door would cost $200 to replace. Investigators are coordinating with Moulton’s Pharmacy, located next door to the shop, to obtain security video of the parking lot between the businesses. That night burglars struck the Goodwill store a block up the street from Exodos Ministries’ shop, apparently climbing into a fenced-in storage area behind the 793 Ferdon Blvd. North business and forcing the gate open from the inside. The burglars made off with 15 donated bicycles with an estimated value of $300, a store manager reported. Anyone with information can contact Emerald Coast Crime Stoppers anonymously at (850) 863-TIPS, at www.emeraldcoastcrimestoppers.com or submit a tip via the P3 Mobile App. The Crestview Police Department is requesting any information relating to the identification of the above pictured black male who robbed the Cash’s Liquor Store (Next to the Crest Lounge), located at 1675 Ferdon-S Blvd., Crestview, FL, at gunpoint on 16 January 2018 at approximately 8:03PM. The above pictured black male is approximately 5’10”-6’0” in height with a medium build. 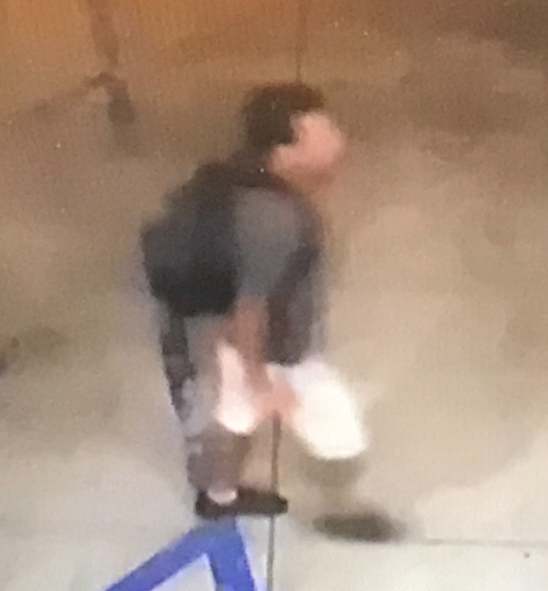 The suspect appears to have a prominent brow ridge and walks with his feet pointed outwards as he steps. 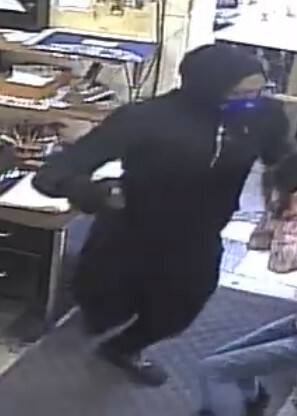 Anyone with information about this robbery can contact Emerald Coast Crime Stoppers anonymously at (850) 863-TIPS, at www.emeraldcoastcrimestoppers.com or submit a tip via the P3 Mobile App.